It was a total surprise when the Galaxy S6 and its Edge variant came without dust and water protection, fans now have to be constrained and more careful not to drown their phones in the bath or drop them in the sand. The new flagships have a more luxurious appearance, much superior to last year’s Galaxy S5, which had an ugly dotted pattern that wasn’t to peoples liking. Samsung thought about the category of “active” people, who practice all kinds of extreme sports and brought a more resistant phone which is immune to water, dust and falls from low heights. The Galaxy S6 Active received these types of protections and a bigger battery, but it lost the fingerprint sensor. The Galaxy S6 Active is an AT&T exclusive and it can be purchased at a price of $199 with a two-year contract, just like the Galaxy S6, which is a fair price, considering that the device earned Editors’ Choice distinction. With its military-grade IP68 rating and three color options (Camo White, Camo blue and Gray), the phone is not only very durable, but it has almost the same specs as the Galaxy S6. Let’s take a look at both its exterior and interior. If you are the type of person who likes thin phones with a premium look, then the Galaxy S6 Active isn’t what you’re looking for. But if you’re searching for a phone with a case that helps it survive in extreme situations, then $695 won’t be a large amount of money to spend on a high end device which comes with a bunch of protection (against humidity, rain, salt, dust, vibrations, solar radiation, transport and thermal shocks). If you can’t afford to buy the device without a contract, you will pay $199, but you will be tied to AT&T in the next two years. The Galaxy S6 Active is a bit larger than the normal flagship, measuring 146.8×73.4×8.6mm instead of 143.4×70.5×6.8mm, and it weights 150grams instead of 138grams. The capacitive buttons are gone, and their place was taken by physical buttons, and the home button from the middle lost the fingerprint reader, but on the left edge you’ll find a new button, which can be used to launch one of the two applications you choose from the list of installed applications. 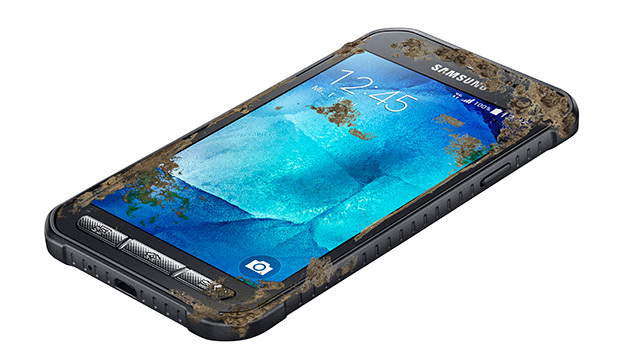 Since it was built for abuse it benefits from MIL-STD-810G and IP68 ratings, the Galaxy S6 Active will survive if it’s dropped from up to four feet onto a flat surface, and it lasts under five feet of water up to half an hour. The Galaxy S6 Active has the same display as its sibling, which is Super AMOLED sized at 5.1inches, supporting 1440 x 2560 pixels resolution at 576ppi, and has Corning Gorilla Glass 4 to protect it against scratches. The S6 Active supports 3G and 4G LTE network bands, but the call quality seems to be lower than on the Galaxy S6. According to some tests, the mic has some problems with transmissions, especially at the beginning and the end of phrases, no matter if you’re talking outside or indoors, in a quiet environment. The device connects to WiFi 802.11b/g/n/ac networks on 2.4GHz and 5GHz bands and it supports Bluetooth 4.1 LE, GPS and NFC. The device is powered by Samsung’s fastest processor ever built by the Korean company, which is an Exynos 7420 with two quad core processors (Cortex-A53 clocked at 1.5GHz and Cortex-A57 clocked at 2.1GHz). Samsung equipped the Galaxy S6 Active with the same Mali-T760 GPU and placed 3GB of RAM to increase the phone’s performance. The drawback of this model is the single memory option of 32GB, which doesn’t support expansion, so you’ll have to manage the space wisely and copy photos and videos to your computer/laptop, otherwise you’ll be in uncomfortable situations when you need to delete some of the files, to make room for more recordings. 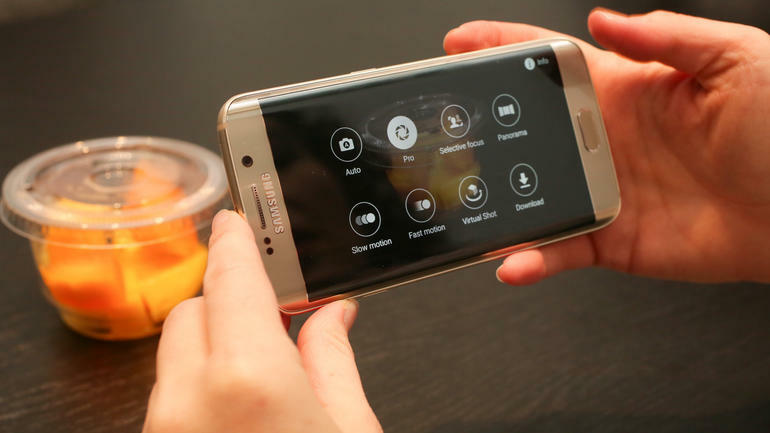 The Galaxy S6 Active comes loaded with Android v5.0.2 (Lollipop) with TouchWiz skin running on top of it. It features the Activity Zone where you’ll find information related to weather conditions, compass coordinates, barometric readings, S Health progress etc. Also, you will have access to the flashlight and stopwatch functions. There are the Wild Tangent Games and Yellow Pages applications which can be disabled, but not uninstalled, so you’re stuck with them. No change was made in this department as the camera on the back is 16MP and comes with LED flash, a 1.9 f lens and automatic real-time HDR, while the front camera is 5MP and has also a 1.9 f lens, being excellent for selfies. The capacity of Galaxy S6 Active’s battery has been increased up to 3500mAh from 2500mAh, when streaming YouTube videos over LTE with maximum brightness, the phone can last 8 hours. Normally, when making voice calls over 3G, it should last up to 23 hours.